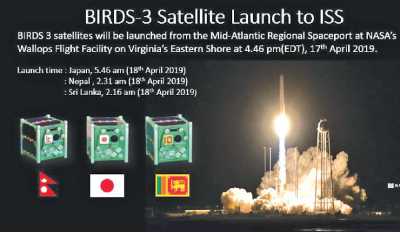 Sri Lanka’s first satellite ‘Raavana 1’ was launched into space at 2.16 am yesterday, marking Sri Lanka’s entry into the global space age. The National Science Foundation (NSF) of Sri Lanka is planning an International Conference on ‘Social and Cultural Nexus of Science and Technology Development (SCST)’ in Colombo, Sri Lanka, 29-30 August 2019. The Conference aims to bring together academics, researchers, policymakers and development practitioners to discuss and debate on various social and cultural aspects related to S&T development. Grade 3, 4 ,5 & 6 First Term Evaluation English Language 2019 papers are available. The objective of SLJSO is to promote interest in science among school students, exposing them to problem-solving, critical thinking and experimentation and to select best students to represent the International Junior Science Olympiad (IJSO) annually. The Institute of Physics Sri Lanka has made arrangements to hold the national competition (SLJSO) annually. The SLJSO is open for science students who are sixteen years or younger on 31st December of the competition year. The competition shall be conducted in Sinhala/English/Tamil media on a date decided by IPSL. The examination paper shall consist of 50, Multiple Choice Questions based on physics, chemistry, biology, and Mathematics taught at 6- 11 level syllabuses in Sri Lanka. Based on performance at SLJSO, Gold, Silver, Bronze Medals with a certificate will be awarded to the contestants. The best-selected contestants may represent the International Junior Science Olympiad with the guidance and support from the Institute of Physics. http://www.EdueLanka.com website will re-named (with a new domain name) and re-modified (with new features) effective from August 2019 onwards.